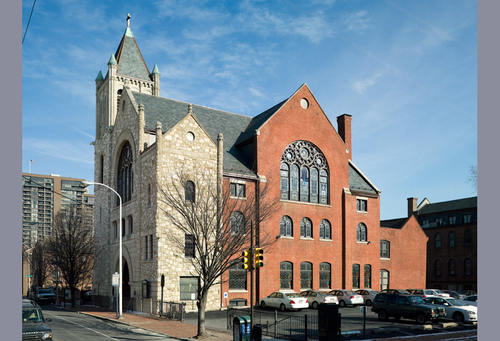 Mother Bethel A.M.E. Church in Philadelphia was gathering place for abolitionists. A student trip to Philadelphia is an excellent opportunity to study African American History. The African American Museum in Philadelphia (AAMP) is the best starting point for the tour. The AAMP is the most definitive collection of African American art, culture and history and best describes the ever changing social fabric of African Americans that define the region. The native cultures of Africa are also honored here. The African American Museum in Philadelphia is located at 7th and Arch Streets, in the heart of Downtown Philadelphia. After a morning trip to the Museum, student travel groups can have lunch in nearby Chinatown or at the Reading Terminal Market. The African American Museum in Philadelphia houses far more than art. In fact it traces the lives and work of a wide diaspora of African Americans across the United States and their heritage in the Philadelphia region and in native Africa. There is usually a rotating exhibit in one gallery. A significant show from the Permanent collection is always on display in another gallery: Audacious Freedom: African Americans in Philadelphia 1776-1876. The exhibition is interactive, with a narrated timeline that spans 100 years. Trailblazers from the African American Community are highlighted with video projections telling the story of their lives. These video narratives make history larger than life for students. There are other educational programs at the Museum as well. For teachers preparing students for the trip, expect exercises will be eye opening and told from a unique historical perspective. Visit: http://www.aampmuseum.org/education.html to learn more about Traveling Trunks, Iconic Images Mural Tour and the Passport to Culture Summer Youth Enrichment Program. The Barnes Foundation relocated from an estate in Merion, Pennsylvania, to Philadelphia several years ago. In order to satisfy Barnes’ will, which stated the art must be kept in the original mansion, those who designed the building’s interiors recreated them exactly as they were in the 1920s. The collection was displayed precisely in the same places inside the new building. The Barnes Foundation is next to the Rodin Museum on the Benjamin Franklin Parkway. Albert C. Barnes is known for his collection of post-impressionist and early modern paintings. He also has an extensive African American collection of arts and practical items used in African cultures. Barnes felt the African Art to be a highly developed form. So, he collected figural sculptures, ceremonial masks, and domestic objects as well as those used in rituals and celebrations. The collection is worthwhile seeing on this tour. Many of these pieces of the African diaspora are now well documented by African American Art Scholar Christa Clarke, PhD. A perhaps unknown facet about the President’s House in Philadelphia, which honors George and Martha Washington, is about the enslaved members of the household. Altogether Washington brought 9 enslaved Africans to his three story mansion in Philadelphia, where he and Martha lived from 1790-97. President Washington was known to treat his slaves in his household well. Eventually he freed them in his will and donated money to the creation of the African Episcopal Church of Saint Thomas. Students of Black History will find this remarkable and important historical site to visit. One of the first historically black and abolitionist churches in the new country was the Mother Bethel. A.M.E. Church in Philadelphia located at 6th and Lombard Streets. The first church was convened in 1794. In 1805, the building was expanded and the church leaders and congregation would become a leading force in fighting against slavery by helping those who escaped and were on the run. Beginning at its infancy, and as the decades wore on, the Mother Bethel A.M.E. Church would be a leading force in abolishing slavery all together. Bishop Richard Allen constructed the first church and expanded the second while leading a congregation of black Christians and allies in a fierce anti-slavery movement. All students of black history will want to visit the Richard Allen Museum, which is part of the Mother Bethel A.M.E. Church. As any teacher can easily see, Philadelphia is a city rich in African American history, culture, politics and the arts. There are many more places to visit in Philadelphia, which celebrate black history, besides those noted here. Trip leaders and teachers may feel free to explore and suggest other places in Philadelphia that would enrich a black history tour. For more information on taking a student group on tour of Philadelphia with black history as the focus, Request a Quote.